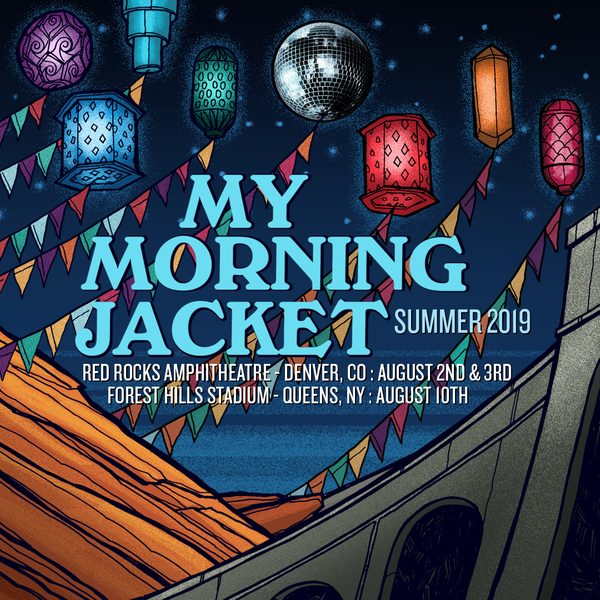 12/02/2018 My Morning Jacket has announced shows at Morrison, CO’s legendary Red Rocks on August 2nd and 3rd and Queens, NY’s Forest Hills Stadium on August 10th. These are the only planned live performances of 2019. Fan club and VIP pre-sales begin Tuesday, December 4th at 10am local; AMEX pre-sales run Wednesday, December 5th at 10am local, and general on sales start on Friday December 7th at 10am local venue time. VIP Experiences and travel packages will be offered for all shows including an exclusive pre-show culinary experience with Patrick Hallahan of My Morning Jacket and Hometown BBQ owner/pitmaster Billy Durney. Tickets are going to sell fast, so don't delay. Use pre-sale code: "POOCH" to access tickets and VIP packages. Get info and purchase VIP experiences here!